Do you want to offer Collabora Online or other Collabora Products to your customers and appear on list below as an official partner? Cloud-based file syncing and sharing services implement automated file transfers, providing universal access to your files via the web, computer or mobile devices. Collabora Online extends the functionality of these services integrating the ability to view or edit synced office suite documents and lets you create new documents directly in your browser – wherever you are. FileCloud, developed by CodeLathe, is a enterprise file share, sync and mobile access solution. FileCloud can either be self-hosted or subscribed as a SaaS service, giving customers the flexibility to pick a cloud deployment model that is right for them. Nextcloud offers self-hosted file sync and share combining the convenience and ease of use of public clouds with the security, privacy and control business needs. It can be extended and deeply integrated in enterprise infrastructure with over 100 internal and third party addon apps. More info Try the demo! Enterprise file sync and share solution that is hosted in your data center. Open Source Enterprise file sharing & sync solution. SecuredStore provides services for key industries meeting individual discipline requirements. Groupware and productivity tools help people to work together and achieve their goals. This includes common tasks as email, calendaring, shared contacts, tasks,… and now, thanks to Collabora Online, the following integrators offers an office stack with full, user-friendly and comprehensive collaborative features. EGroupware is an Open Source groupware server, that enables users to manage email, files, contacts, appointments and more. It comes with a native web-interface which allows to access data from any device, on any location. Kolab Enterprise is a comprehensive collaboration and communication suite, built from the ground up to highest security requirements. Qingdao Nature Easy Soft Network Technology Co., LTD, provide professional management software to users all around the world. They embrace Open Source and have developed several management software, including ZenTao, a project management software, Zsite, and Zdoo, which have helped over ten thousands of companies improve their management and operations. VNClagoon is the name for our 4-layer stack comprising infrastructure, middleware, business software products and VNC’s front-end webserver. Customers can buy their individually tailored stack, including Collabora Online, from VNC as a single vendor. Identity management describes the management of individual principals, their authentication, authorization and privileges within or across system and enterprise boundaries. The following list of companies can help you with integrating Collabora Online in an environment where Server and Identity management is key. DAASI International GmbH is a leading provider of open source solutions in the field of identity management, single sign-on and federations. Univention GmbH is a leading European manufacturer of open source products for the operation and management of IT infrastructure, headquartered in Bremen. A hosting provider can offer shared hosting or dedicated hosting of a service or services to customers. The following hosting providers offer Collabora Online as a service, allowing clients to have a complete Office Suite working right out of the browser! CiviHosting is an established, top-tier hosting firm based in the USA with a strong focus on security. With shared, VPS and dedicated server solutions in both Europe and the US, CiviHosting provides services to a wide range of clients from small businesses to large Universities. Their hosting includes daily backups and a 24/7 Support Team. eqipe is a well-established IT services company for small and medium-sized businesses and are experts in Open Source, cloud and hosting services, network infrastructure support and helpdesk. The complete team, office and data center infrastructure is located in Zurich, Switzerland. Friprogramvarusyndikatet is a free software (FLOSS) hosting and IT services provider located in Sweden. Providing services primarily to SMBs and organisations in the Nordic/Scandinavian region. Software-wise specialising in Language technology as well as XML technologies. In hosting they provide everything from managed/unmanaged VPSs, shared hosting to co-location. New Access is an Internet Services Provider for the corporate sector since 2003, helping their clients to get to the cloud offering hybrid cloud solutions from their own data center. SwissVON has been one of the first companies in Switzerland to provide Asterisk Open Source based VoiP Solutions, offering it since 2005. With the evolution of Unified Communications going towards a more integrated Collaborative environment, they gradually moved over the years to Virtualized, Cloud-aware and Unified Collaboration services, with high quality, custom on premise or hosted solutions, in one of the most secure data centers in Switzerland. UrBerri soluciones informáticas is a Spanish IT services company for SMBs and organizations, which focuses on the use of Open Source solutions. Webo.hosting is a hosting and IT service provider that provides open-source solutions to SMBs on their own infrastructure (located in Germany and Slovenia) or on the client’s own infrastructure located on their premises. Informology is an IT solution provider, offering consultation, training, software/application development, IT hardware, data center, recovery center solutions and services, with 20 years experience of consulting and implementing ICT projects in Government/Public Sector plus Private Sector. Managing your documents and records provides your company with a single corporate memory, leading to a paperless working environment, while complying to regulations. And now, with Collabora Online integrated, this easier then ever! Enterprise management of electronic documents, records and business processes. Learning platforms with Collabora Online integrated allow you to view and collaboratively edit text documents, spreadsheets and presentations, enriching the learning experience. IT services providers offer a range of IT services to fulfill all IT needs of their customers. With Collabora Online added to their product portfolio, they offer on premise or cloud based enterprise-ready LibreOffice Online. Arawa is a French IT company specialized in Open Source office and collaborative software and organizations to implement document collaboration solutions that allows them to access information, while keeping in control of their data. Artistanbul is specialized on three main areas: enterprise software solutions, community management and building educational technologies. Artistanbul provides consultation and builds high value-added projects across various industries. ETES GmbH specialized on Linux and Open Source, is providing a full range of IT services such as consulting, implementation, maintenance and support. Over the past 10 years the company has become an expert in delivering cloud services. ETES has invested in a certified data center in 2017 to be able to offer the most effective service for the customers. The servers are hosted in Germany which guarantees industry standards concerning security (aligned to ISO 27001). PC HELP operates on the information technologies market since 1990. Its main activities are focused on the development and implementation of software solutions for enterprises and government. Retention Range offerings include identification of suitable solutions for Governments, Parastatals and the Private Sector; deployment of such solutions, migration from legacy platforms, modifications to improve efficiency of the customer’s businesses, integration with the existing solutions and provide support. Among others they offer Desktop Solutions, Web Development Services and Enterprise Solutions. Sunjun Information Service Company is founded in 2014, by a group of free and open source software enthusiasts. These people have been involved into Software Liberation Movement — which covers computer education, FOSS applying in education, removing the digital barrier, open standards and Open Document Format — in Taiwan for nearly 20 years. Workman.net.au is passionate about servicing the IT needs of rural and remote Australians. At Workman.net.au we want people living in rural and remote Australia to have the same opportunity to benefit from computer technology as those in major cities. Interested in our other products and services, like the enterprise-ready edition of LibreOffice “Collabora Office” and “Collabora GovOffice”? Check out our partners who add considerable expertise and value to the selection, training, and deployment of our products. ADFINIS SYGROUPEmail: support@adfinis-sygroup.chCountry: Switzerland, GermanyFor more than a decade the Adfinis SyGroup AG has provided pioneering Open Source environment leadership. We combine quality expertise, years of experience and professionalism with the innovative potential of Open Source technology. As a trusted service provider and partner in the private and public sectors we assist in planning, optimizing, monitoring and maintaining systems. We provide design and project implementation based on protecting a Client’s business data and processes with Open Technologies and Open Standards. Country: New ZealandWe design, implement and support smart IT solutions based on open source technology for small and medium-sized businesses. BTR SERVICESEmail: info@btr-services.beCountry: BelgiumBTR Services is passionate about the daily dynamics of our customers in optimizing their Business and ICT processes so they may confidently face the market challenges of tomorrow. EDXEmail: libreoffice@edx.srv.brCountry: BrazilEDX is a service company focused in LibreOffice technology. EDX can conduct migration projects by suporting deployments, training, consulting and ad-hoc developments. EDX has conducted LibreOffice migrations projects in more than 10 companies and organizations, in either public or private sector. EMERGYAEmail: ofertas@emergya.comCountry: Spain, Switzerland, United Kingdom, ChileEmergya is a leading IT consultancy specialising in the migration from proprietary to free/open source software (FOSS). We use a unique project methodology that allows us to plan and achieve our customers’ migration goals. Emergya have enjoyed a great deal of success and have been commissioned to complete work across Spain and South America (mainly Chile and Venezuela). Emergya has grown since 2004 and can now resource over 130 individuals who all share a passion for new technology and software systems. We work with our clients to design practical, easy to use, effective software solutions that satisfy their particular needs. While we look to the future for innovation, we have underpinned our business practices by attaining quality and service certifications. EXCELLENCE DELIVERED PVT LTD.Email: info@exdnow.comCountry: Pakistan, United Arab Emirates, Saudi Arabia, USASynonymous to its name, ExD provides the best solutions for customers striving for operational excellence. We believe that through technology outsourcing and optimization of business processes, our clients can achieve standards that are sure to enhance their competitiveness and profitability. Our Technology Services include Implementation Services of leading ERP and CRM (Oracle, Sentez, SAP, Saleforce.com and xTuple), Data warehouse, Data Center, Data Security and Software Development. Our Business Process Our Outsourcing line of business helps customers decrease the total cost of ownership of their non-core business functions. At the heart of our BPO business is our state of the art Shared Services Center that is manned by technical and functional consultants. iCRAFT Corp.Email: info@icraft.jpCountry: Japan, Vietnam, Myanmar, MongoliaiCRAFT provides IT infrastructure services, constructing PCs, servers, networks, maintaining them with service desks and on-site services. Our Level 1 and Level 2 support is called “iSTAFF”, which is provided in Kansai (Osaka, Kobe), Tokyo, Kyushu, Ho Chi Minh City, Yangon and Ulaanbaatar. We are the first in Japan to offer “Level 3 support” and “3 years long term support” as a sales partner of Collabora Productivity Ltd.
INTEPROEmail: info@intepro-bg.comCountry: BulgariaIntepro Solutions Ltd. is a system integration and training center, specialized in information security technologies. We design, build and support enterprise-class IT solutions for Identity and Access Management, Security Incidents and Events Management, Strong Authentication and SSO, Backup and Recovery, Document management, Collaboration, Endpoint Management and Security, and Virtualization. The company has established long-term partnerships with industry leading software companies, among which Novell, NetIQ, SUSE, Fabasoft, Catalogic Software, VASCO, GWAVA, Collabora, TDP. We are also the only Novell Certified Training Center for Bulgaria, and provide the whole range of Novell Training courses for Novell, SUSE and NetIQ product lines. 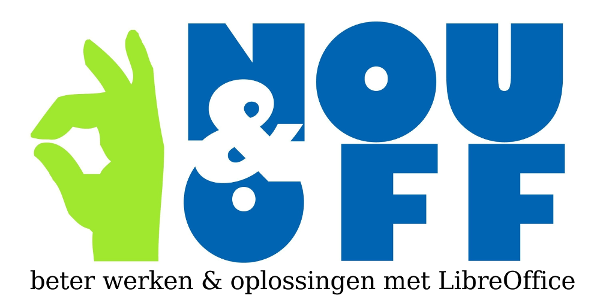 NOU&OFFEmail: contact@nouenoff.nlCountry: NetherlandsNou&Off is Netherlands based, and a long time experienced partner for migration and effective use of open source office software. Working with the right focus and knowledge from the first step towards LibreOffice, through automation of processes, rock-stable documents and training of end users and your admins or Help-desk. HytosEmail: info@hytos.comCountry: UruguayHytos is an Uruguayan company which aims to support companies in adopting information and communication technology, helping them to adquire a complete view of their reality and be more competitive. Our team has lot of experience providing communication and information technology to a very vast of companies (of sizes and different economic sectors). This accumulated experience has helped us to develop a business plan that provides advanced technology services, oriented to small, medium enterprises needs. We participate in development projects, and we are continuously search for the best OpenSource technology to bring the best solution to our clients based on the precept that the Communication and Information Technology (ICT) are needed to increase the competitiveness of companies but they must be affordable. OPEN CANARIASEmail: info@opencanarias.esCountry: SpainOpen Canarias is a Canarian company founded in November 1996. Currently, we are a national company specializing in product implementation, IT services and technology projects destinated to private and public sectors. Experience is the core value that drives us to provide the knowledge necessary to meet any challenge, and provide the best customer service through support and professional advice. ÖZGÜR YAZILIMEmail: info@ozguryazilim.com.trCountry: TurkeyOzgur Yazilim AS provides support, consultancy, implementation, and training for free/open-source software (FOSS) and projects that make use of FOSS. From software development to server administration and desktop migration, including LibreOffice-from-Collabora, Ozgur Yazilim AS has the capability to provide a broad range of services for its customers. POWERCOMPEmail: libreoffice@powercomp.ruCountry: Russia and CISPOWERCOMP, LLC is the IT distributor and innovative solutions provider, located in Russia. Our main goals is to provide innovative software solutions and services to wide range of customers directly and through our local partners. Our portfolio contains not only proprietary software, but a set of free opensource solutions, and commercial subscriptions for them. We have expertise in handling opensource/heterogeneous infrastructures and migrating to opensource based infrastructures. Our resources and partners, making us able to run complex opensource-based projects. roZoomEmail: sales@rozoom.comCountry: USAroZoom designs and builds data defined solutions using the best-of-breed Open Source software, centered around DevOps principles, with Security as the #1 priority. 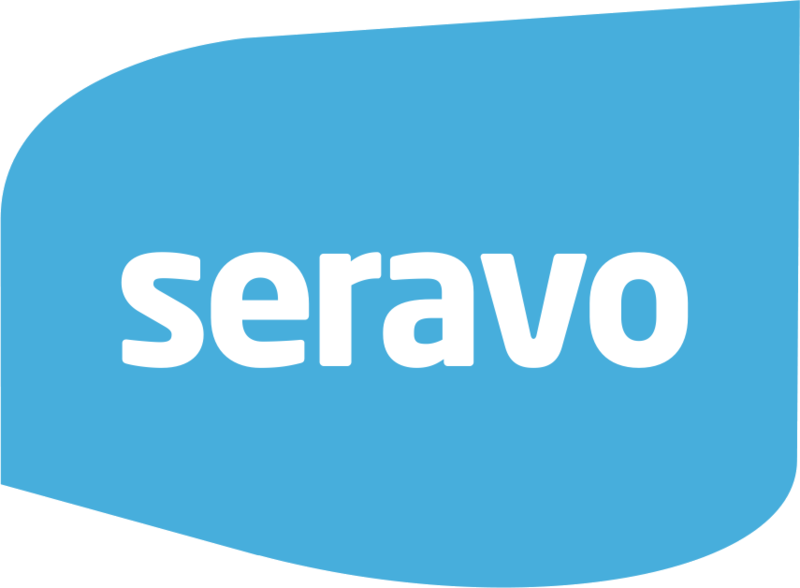 SERAVO OYEmail: libreoffice@seravo.fiCountry: FinlandSeravo Oy is the most prominent professional open source support provider in Finland. We develop and administer a variety of Linux based systems that our customers’ businesses depends on. We also provide consulting and support for some open source software used on Mac and Windows, most prominently LibreOffice. Seravo recommends LibreOffice as the primary office suite, and Seravo has contributed to the Finnish translation and spell checking (Voikko) to make sure LibreOffice works perfectly also for Finnish users. STUDIO STORTIEmail: info@studiostorti.comCountry: ItalyStudio Storti, the most referenced provider of Open Source solutions for the Government and Public Administration sector, is the main Zimbra Open Source Edition and ZeXtras Suite integrator in Italy. The sole Italian company within The Document Foundation’s Advisory Board and active member of the LibreOffice community, provides migrations and trainings through a highly skilled staff according to The Document Foundation’s guidelines. VNSEmail: info@vnssrl.itCountry: ItalyWe offer complete and modular support for organisations moving to adopt ODF. The people at VNS have been carrying out migrations in Italy since 2004. Our migration protocol is robust and has been tested for over 10 years with thousands of users. We provide all the considerations for making a migration decision, and supply guidance, support and training throughout the transition process, including the tools required to integrate with local environments. TECHNOPOLISEmail: info@open.grCountry: Greece, the Balkans, Turkey and CyprusWith extensive experience in undertaking Enterprise Integration and Web projects, Technopolis S.A. has solidly invested in building expertise in Open Source platforms and solutions over the last 14 years, not only in adopting the underlying enabling technologies, but in acquiring the necessary business know-how as well. Technopolis S.A. has been developing, delivering and supporting successful, high-ROI, low-TCO, business software implementations of significant complexity on time, on scope, on quality and within budget since 2000, backed up by professional services mostly in large private firms in Greece and neighbor countries. VNCEmail: info@vnc.deCountry: Switzerland, Germany, IndiaVNC develops powerful Commercial Open Source solutions which enable businesses and organizations to fully leverage their technological potential. That way you can increase your business performance while reducing your operational cost at the same time (compared to traditional proprietary applications). Our solutions are cloud-ready and secure, covering everything from Communication, Customer Relationship Management and Collaboration to Marketing, Production, ERP and Project Management. All our applications are web-based, requiring no additional software. They can be used on any device you like, no matter where in the world you are. Email: contato@basconero.com.brCountry: BrazilBasconero is a company specialized in modernization of enterprise systems, migration of legacy software, creation of cross-platform applications and in consultancy services like digital certificate adoption and enterprise architecture improvement. We have proven expertise in integrating enterprise systems with LibreOffice for more than 10,000 users. YacmeEmail: libreoffice@yacme.comCountry: ItalyYacme has more than 15 years experience in Open Source, with more than 30,000 migrated users, more than 1000 days of training provided and more than 100 different clients. For over a decade Yacme has been managing the switch for those moving to Open Source office automation suites with a complete migration protocol aimed at reducing the impact to a minimum, even with a very high number of users with deep seated habits. Yacme is able to provide support for every part of the process: analysis, planning the transition, user support, classroom and on line training, documentation, and integration. Our competency and experience in the world of Open Source also includes other technological sectors: Systems and Networking, Collaboration (Zimbra), Asset Management (CMDBuild), Enterprise Content Management (Alfresco), and Business Intelligence (Pentaho).